A group of about 15 Trails 2000 volunteers cut back overgrown gamble oak, smoothed out rocky areas and installed water bars for erosion control on Telegraph Trail Wednesday afternoon. Rallied by Trails 2000’s crew leader Daryl Crites, the group worked on the ascent up to the pass from 4 to 7 p.m. before being treated to some pizza at the base of the Meadow Loop. 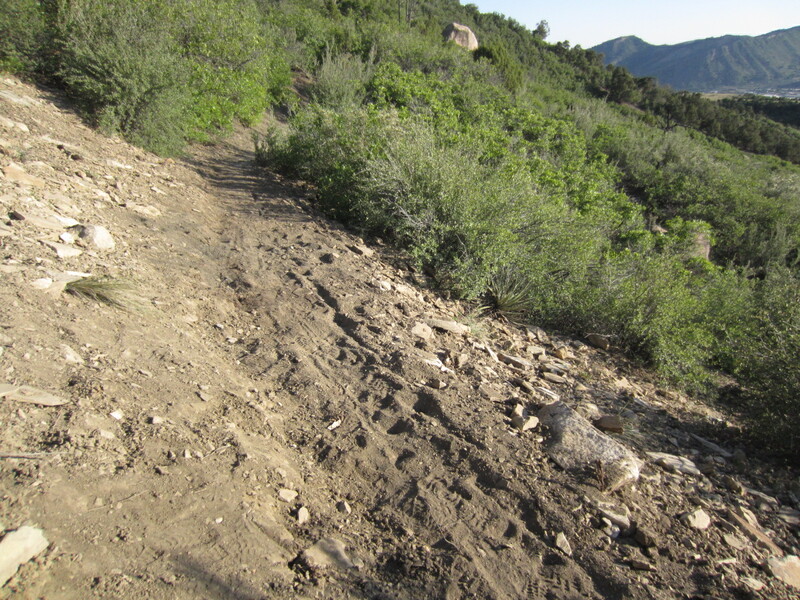 This blogger applauded the effective usage of water bars on this project, yet disagreed with Crites in person on the volunteers’ smoothing out of more technical, rocky sections of the climb. While Crites declined to go on the record about the City’s plan’s to reroute the lower part of Mike’s and Cuchillo Trail this summer, he did agree to do an interview at some point about the events that transpired during the run up to Noel Pautsky granting an easement for trail access across Oakridge Energy’s property back in the day. Crites’ story should be a hoot for those that have never heard it before. Stay tuned for that story, and indulge in some pics from Telegraph Trail where this blogger helped cut some overgrown oak out with a few other trail builders from Trails 2000. 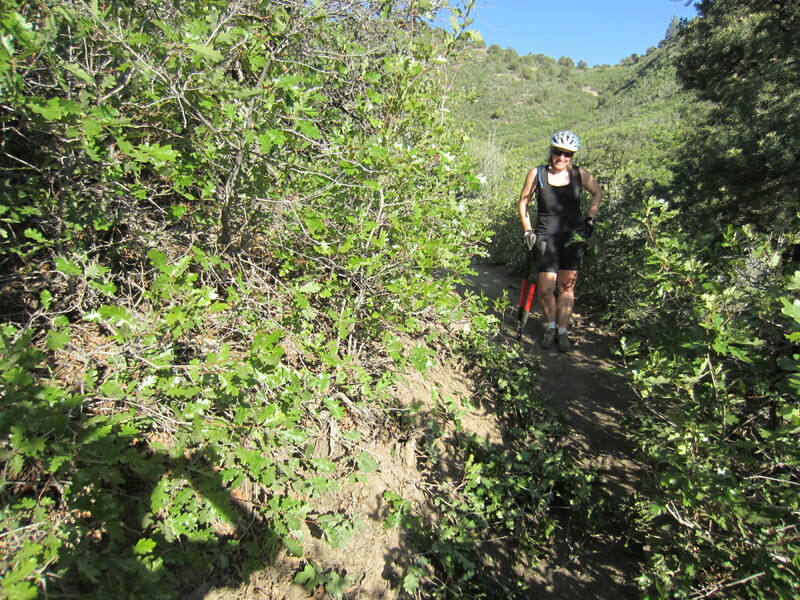 Jody Furtney and I worked on some overgrown oak at the bottom of Telegraph Trail Wednesday. Thanks for your hard work and fabulous smile, Jody! Here’s one section that some volunteers smoothed out on Telegraph Trail. 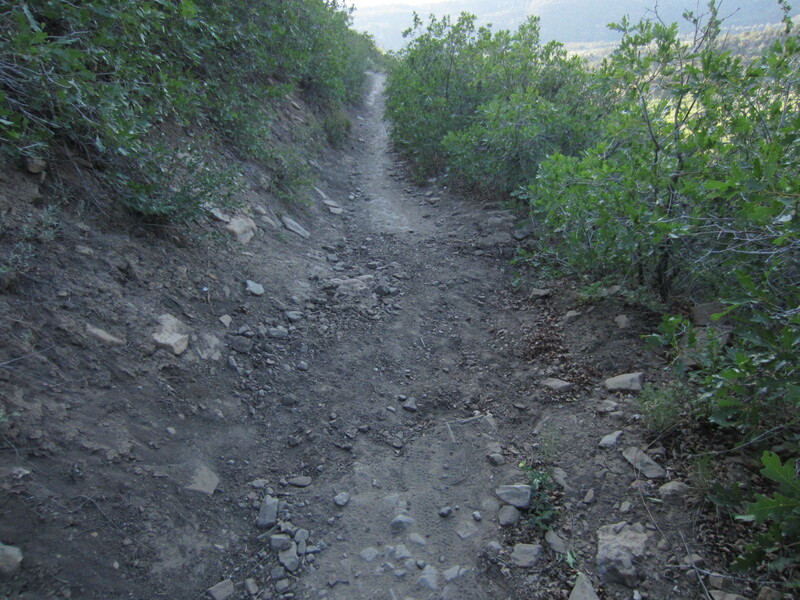 This rocky section was smoothed out by some Trails 2000 volunteers. 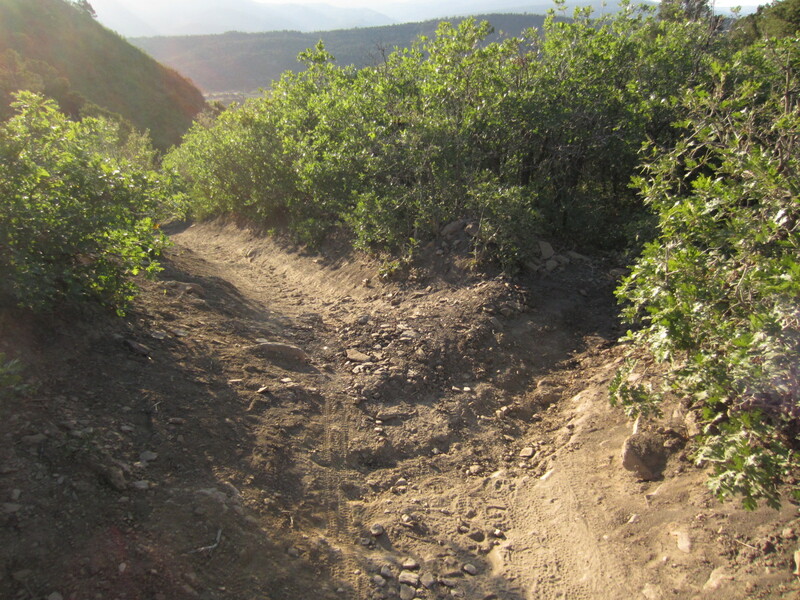 This is one example of what I call trail pacification–making an intermediate level trail feature into one more suitable for beginner riders/runners/hikers. This water bar was accentuated to help divert some of the rain runoff–good job. This water bar was put in at the top of Telegraph Trail, right after the burly steep climb. Very effective. They put it in without smoothing over the trail. Thanks for leaving us a challenge at the top. 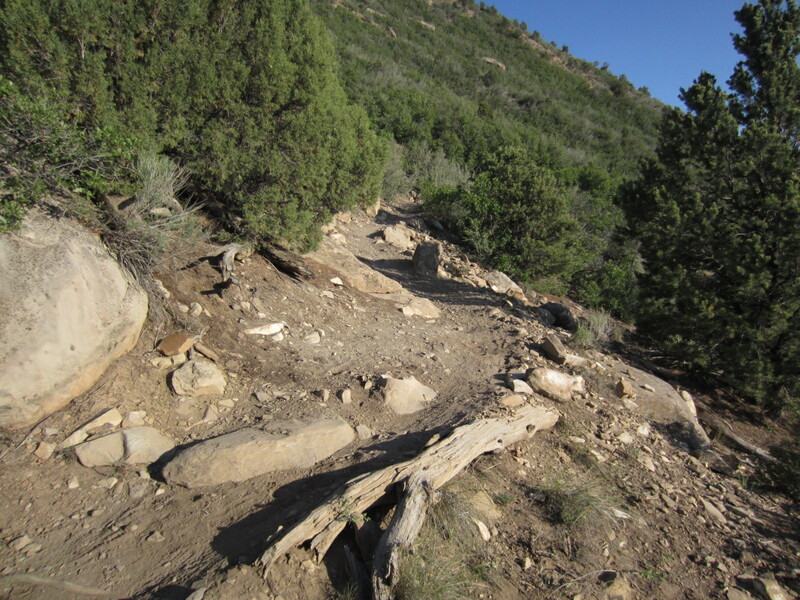 If you can’t clear the rocks, don’t ride the trail. 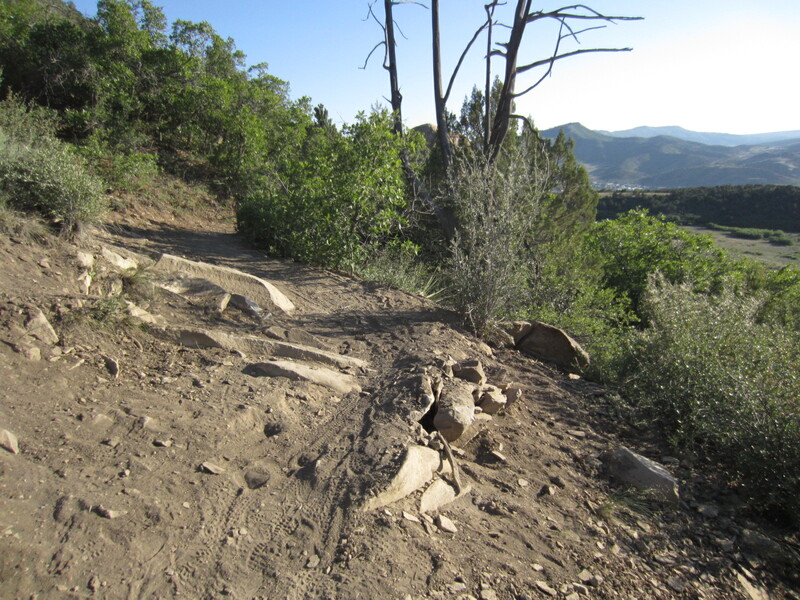 the smoothing out of rocky sections destroys the character of the trail, makes everyone a worse rider and is an unauthorized abuse of the trail. Who delegated the power to you to determine what trails will be intermediate and what trails will be advanced?! I don’t clear the rocks and definitely don’t agree with the smoothing out of Telegraph by Trails 2000. You should know that I have no power in deciding which trails are intermediate and which ones are advanced. On this work day I decided to help cut back some oak brush that was growing across the trail instead of moving rocks around. Read my story entitled “Stacy’s Loop Obstructed and Pacified by Trails 2000 and City Official.” Sign my petition if you really disagree with the smoothing out of trails in Horse Gulch. PLEASE!